NFL spokesman Brian McCarthy declined to comment on the memo. Later on Thursday, the AAF announced that its players could indeed sign with an NFL club. Yahoo Sports confirmed the Kansas City Chiefs’ signing of Orlando Apollos cornerback Keith Reaser, which was first reported by ESPN’s Adam Schefter. The AAF’s sudden decision to suspend all operations stunned the league’s coaches and players, who were two weeks away from completing the regular season. Many teams made the decision to send players home. There was also an internal AAF memo sent Tuesdaythat terminated employees, another sign the league wouldn’t be coming back this year. The memo stated the league will be seeking new investors and may return next year if some holdovers can successfully restructure the business. Bonds also has hope that some NFL team saw what he did this season — 17 tackles in eight games — and might invite him to camp. Martin, 29, was a member of five different NFL teams before he landed in the AAF. He says there are some players who could play in the NFL. “I played on several different teams while I was there, that’s why I know a whole lot of these guys, personally, and I can tell you for sure, more guys than you’d realize deserve a chance and need to be in the NFL,” Martin said. Some will get that chance. 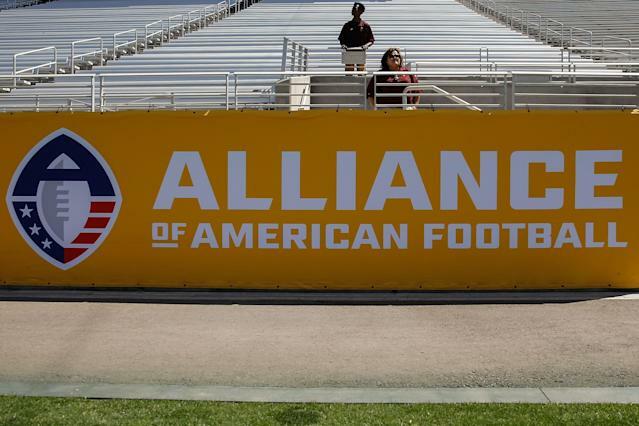 For now — until the AAF finalizes its current status, and the NFL gives its teams the go-ahead to pursue players — they’ll have to wait.